He is married to Vicentia Syropoulou. Father of a son-Thanassis Aristides. Lawyer, Political Scientist, LL.M., Beotia MP, Deputy Minister, Minister, Member of Parliamentary Assembly of International Organizations, Head of Sectors ND. Studies in Law and Political Sciences at the University of Athens. Postgraduate Studies in International Law and Political Science in England. (1979-1981). He specialized in the Law of the EEC in International and European Organizations, the Human Rights Policy in Western Europe and in Political Sociology. He earned his DIPLOMA and MASTER’S degrees in the University of London/University College London (UCL). Post Graduate courses at the Academy of International Law in The Hague, NATO and the EEC, the International Institute of Human Rights in Strasbourg, at the Seminar of the Harvard Alumni and Faculty of the University of Pacific. Member of the New Democracy Party (ND) and ONNED since their foundation. – Member of Central Committee of Local Authorities (KETA) of ND (1987-1989). – Chairman of Parliamentary Group Project (OKE) of ND for Agriculture (1997-2000). – Head of Agricultural Sector ND (July 2001-2004). – Head of Environmental Sector ND (2015-2016). He was elected MP of Beotia ND, elections in June 1989, November 1989, 1990, 1996, 2000, 2004, 2007, May 2012, June 2012, January 2015 and September 2015 (first MP in the 1996 elections, 2000, 2004, 2007, May 2012, June 2012, January 2015 and September 2015). Elected Secretary of the House in July and November 1989. Full member of the Inter-Parliamentary Union (1989-1990), the Parliamentary Assembly of the Council of Europe (1990-1991), the International Organisation for Security and Cooperation in Europe (OSCE 1996 – 2004) and NATO (2007 – 2009 and 2012-now). He participated in many NATO summits in several countries including: USA, Russia, France, Germany, Italy, Belgium, Norway, Azerbaijan, Kazakhstan. From 2012 he participated in NATO summits in Iceland, Czech Republic, Belgium, France, Luxemburg, Germany, Croatia, Lithuania, Great Britain, Italy and Holland. From 2015 in Hungary, Ukraine, Norway, Belgium, Albania, Kosovo, Turkey and USA. Deputy Minister of Agriculture from 3.12.1992 to 13.10.1993. Responsible for Forests and Natural Environment (Dec. 1992-May 1993), and responsible for the management of agricultural products, subsidies EEC, the Livestock and Agricultural “Research and Applications” (June – October ’93). Minister of Rural Development and Food from 23.9.2004 to 19.9.2007. 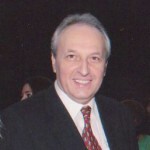 As a MP, a Deputy Minister and Minister, he participated in the parliamentary assemblies of certain International Organizations, in the meetings and sessions of EU Council of Ministers, in ministerial missions abroad, international conferences, conventions, as well as meetings of national Parliaments and Ministries (of Agriculture, Foreign Affairs, Defence, Finance, Development etc.) in various countries, such as the US, Russia, Germany, France, Italy, Great Britain, Japan, Belgium, Spain. Respectively, he participated in meetings and sessions of International Organizations, like the UN in New York, the European Commission (Brussels) and European Parliament (and EPP) in Brussels and Strasbourg, NATO (Brussels), IMF and World Bank in Washington, OECD in Paris, ILO in Geneva, OSCE in Vienna, Council of Europe (Strasbourg), FAO in Rome, WTO in Geneva. Vice-President, Special Parliamentary Committee on Road Safety (re-elected on 25.01.2017). Member of Parliamentary Assembly / NΑΤΟ. Member of Parliamentary Committee on Product and Trade. Member of Parliamentary Committee on German Compensations.